This tart is stunning and simple ― a winner as a party hors d’oeuvre or a picnic entrée. “I love grilling season!” proclaims Farquhar. 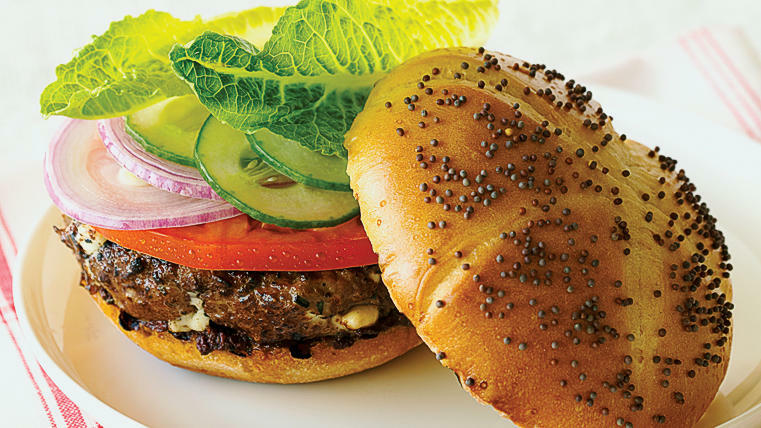 These burgers are an easy summertime meal. “Once you’ve tried this recipe, you’ll never go back to plain corn on the cob,” writes Kruse. Galen replaced some of the flour in her favorite blueberry muffin recipe with blue cornmeal, creating an all-blue breakfast treat. Serve hot or cold with a drizzle of olive oil, a sprinkle of chives, and a squeeze of lemon juice. Get the chunky text from a blender. Top with a brown sugar mixture to bake in sweetness. If you like super-chocolatey, fudgy brownies, then these are for you.